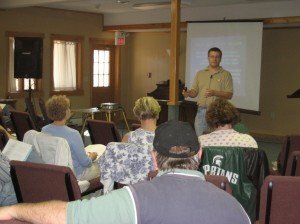 In addition to our one-to-one evangelism coaching and mentoring services, EvangelismCoach.org launches new services as an evangelism consultant to come along side local church sessions, presbyteries, other governing bodies or judicatories. Has your church hit a “plateau” in the area of growth? Do you need help to motivate and train your congregation in personal evangelism? Have you hit a brick wall in developing new ideas for reaching the community around you? Does your regional governing body want to provide resources for evangelism training? Do you have a desire to see more people in your community come to know Jesus and become an active part of your congregation? If the answer to any of the above questions is “Yes”, then I can help you. An independent viewpoint. Precisely because an evangelism consultant is not a member of your organization, a consultant brings objectivity and detachment to the problems faced by the organization. Special qualifications. An experienced evangelism consultant is a subject matter expert and possesses special knowledge, skills and a variety of personal attributes through years of study, application, and personal experience. Ongoing resource. An evangelism consultant is a resource that you can draw on as needed. Change agent. A consultant is a catalyst for change if the church is open to making changes and implementing any steps recommended by the consultant. Want to know more about Evangelism Consulting? Visit the Evangelism Consulting to find out more about what EvangelismCoach.org might be able to do for you, or simply Contact us directly via webform, email, or telephone.